Are you looking for physical therapy techniques in Saddle Brook, NJ? 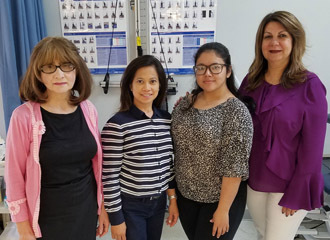 Complete Care Physical Therapy offers individualized physical therapy techniques in Saddle Brook, NJ, helping you achieve inspiring results. Our physical therapy practice is owned and operated by dedicated physical therapists in practice since 1996. You will receive specialized care from knowledgeable, experienced professionals who understand your unique circumstance and techniques to overcome, restoring your quality of living. At Complete Care Physical Therapy we espouse a hands-on, one-on-one approach where the needs of our patients come first. We provide personal care, first and foremost pursuing the optimal function level of our patients. Our team of dedicated physical therapists are here to preserve and restore function after an injury or post-surgery. The physical therapy techniques we utilize to assist you back to health are developed dependent to your personal needs and circumstances. While we have equipment to help alleviate pain and restore function, our tools are our hands. Manual therapy techniques give our physical therapists the ability to stretch, massage, and strengthen the body back to natural movement. Manual therapy comes in many styles, and our physical therapists work with you to develop a treatment plan tailored to your condition and individual goals. Our passionate team is as determined as you are to restore your health, function, and quality of living. We achieve this by monitoring and evaluating our treatment methods, evolving our practices and methods as new physical therapy techniques and technological advances allow us to. Because we seek optimal results in all of our patients, we ensure the quality of our services over the quantity of clients we assist. This method allows us to focus on you and your progress, creating individualized physical therapy techniques tailored to your unique condition to promote healthy recovery. Complete Care Physical Therapy will assist you back to pain-free living. When visiting us for physical therapy, we provide more individualized time with each patient to establish a caring, therapeutic atmosphere focused on your recovery. At Complete Care Physical Therapy, we understand that each of our clients experience unique life circumstances. As such, we offer flexible scheduling to ensure you receive the physical therapy necessary to enable positive results. We believe that our specialized physical therapy techniques scheduling and plans give our patient's greater success rates within our caring atmosphere because of our dedication and professionalism. We will develop a plan that is most effective for your speedy recovery and continued health. For more information about physical therapy techniques in Saddle Brook, NJ, call Complete Care Physical Therapy at (201) 773-0404.